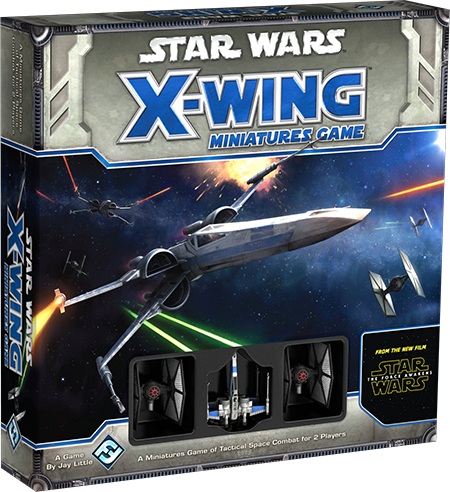 The Force Awakens™ Core Set for X-Wing™ is your gateway to the thrilling clashes between forces of the Resistance and the First Order! With three miniature painted starfighters from The Force Awakens, the Core Set transports you and your opponent to a time long, long ago and a galaxy far, far away. There, you’ll be able to enjoy fast-paced space battles, full of high-speed maneuvers, laser fire, explosions, and maybe even a touch of desperation. In The Force Awakens Core Set, the Resistance enters these X-Wing battles outnumbered two-to-one. 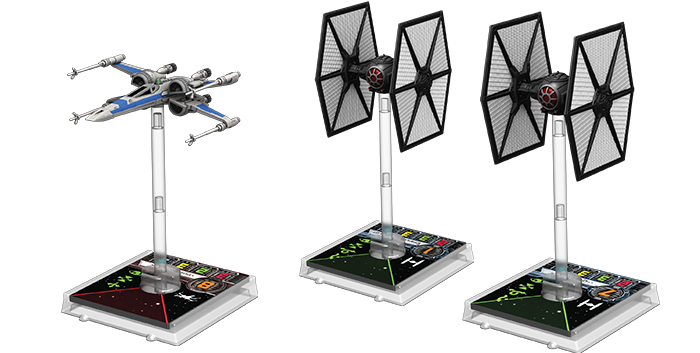 There are two miniature First Order TIE/fo fighters, but the Resistance gains just a single X-wing. This means that when you play as the Resistance player, you start in a tough position – outnumbered and outgunned. Accordingly, if you hope to emerge victorious, you’ll need to steady your nerves and get the absolute most out of your ship, the T-70 X-wing. The Force Awakens Core Set comes with three miniature starfighters – one Resistance T-70 X-wing and two First Order TIE/fo fighters, all carefully sculpted and detailed at 1/270 scale. The Force Awakens Core Set for X-Wing brings the Resistance’s T-70 X-wing to life as a highly versatile starfighter with three attack, two agility, three hull, and three shields. 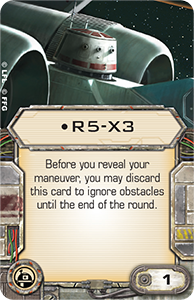 This gives it both significant punch and staying power, both of which the Resistance’s pilots can enhance by taking advantage of the X-wing’s tech and Astromech droid upgrade slots. 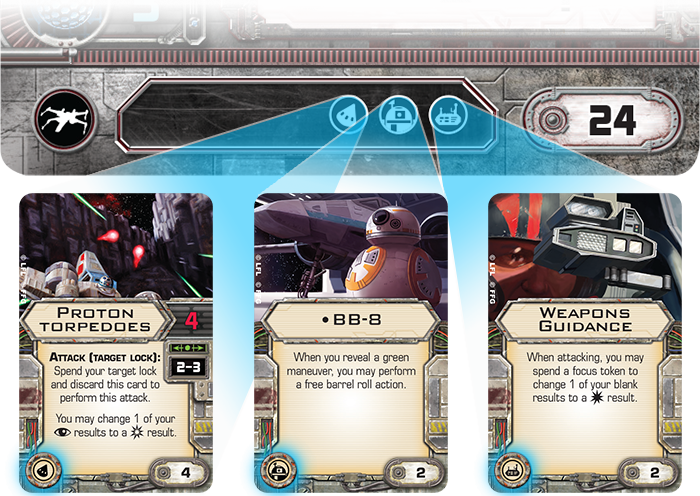 The T-70 X-wings can equip upgrades for a torpedoes, an Astromech droid, and tech. Tech upgrades like the Weapons Guidance system utilize newly developed technologies to help pilots maximize their efficiency in combat. Astromech droids like R5-X3 or BB-8 can help pilots push their ships to the absolute limit, helping them find a flight path through extremely tight spaces or better react to enemy fighters. Finally, the T-70 model benefits from modernized thrusters that increase its maneuverability in both space and atmospheric flight. 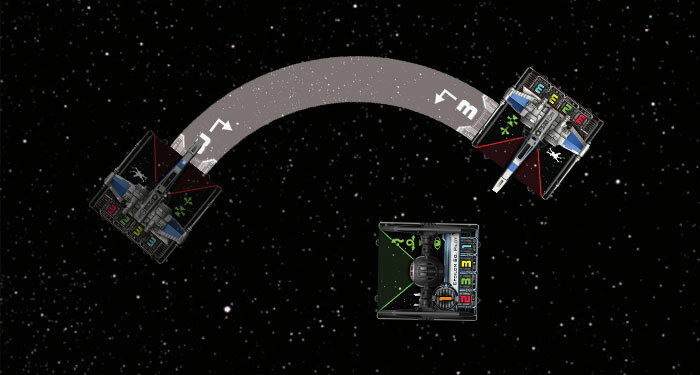 In X-Wing, this increased maneuverability is translated in two ways – through the addition of the boost action and through the fact that the ship’s maneuver dial features two difficult speed “3” Tallon Roll maneuvers. An extremely difficult maneuver to perform, the Tallon Roll is nonetheless an excellent option for X-wing pilots hoping to keep enemy ships close and in the line of fire. A Tallon Roll begins like a hard turn, but as your ship continues its turn, it doesn’t fly away, but rolls to face the enemy. When your X-wing executes a Tallon Roll, you don’t fit its rear guides to the end of the template. Instead, it rotates so that the side of its base rests flush against the end of the template and it faces the opposite direction it faced at the beginning of its maneuver. At the end of its Tallon Roll, your X-wing can slide slightly forward or backward along the end of the template as you desire, so long as the end of the template doesn’t extend beyond the front or back edges of the ship’s base. A Resistance X-wing pilot executes a Tallon Roll, catching the First Order TIE pilot off-guard. 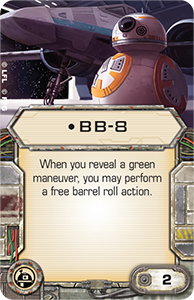 As the Tallon Roll is a maneuver that neither the TIE/fo fighter nor the classic X-wing can perform, its judicious use may grant you the element of surprise and the edge in battle. Even if your foes demonstrate an awareness of the threat your Tallon Roll presents them, that’s another edge you can gain. Against an opponent who maneuvers to avoid being caught off-guard by your Tallon Roll, you can use his fear to your advantage as you secretly select your maneuvers each round, hoping to outmaneuver your foe and line up that one final volley of laser fire! Naturally, once you have a starfighter, you need someone to pilot it, and The Force Awakens Core Set offers Resistance players the chance to field one of the Star Wars galaxy’s top aces, Poe Dameron . Because ships execute their maneuvers from lowest pilot skill value to highest pilot skill value and then attack from highest pilot skill value to lowest, Poe Dameron’s high pilot skill value of “8” ensures he’ll be able to react to most enemy ships, maneuvering after them and firing before them. So long as he’s focused, Poe Dameron’s ability makes him one of the most consistent pilots in all of X-Wing, especially if his X-wing is also outfitted with Weapons Guidance. 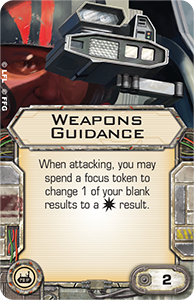 While it’s true that any pilot can spend a focus token to convert a result to a or result, Poe Dameron’s unique ability allows him to benefit from the token without actually having to spend it. This means, he can, instead, spend it for other effects, such as triggering his Weapons Guidance, or simply save it to convert other results during other attacks later in the round. Of course, there are times that Poe Dameron may need to perform a Tallon Roll or Koiogran turn, leaving him unable to perform the focus action. In those situations, the elite pilot talent, Wired , offers him a second chance at securing the dice results he might have otherwise guaranteed himself. It’s never better to trust your luck than to know you can make your luck, but a Wired Poe Dameron at least gets the best of both worlds. Equipped with Wired, Weapons Guidance, and the unique Astromech droid BB-8, Poe Dameron’s T-70 X-wing is an extremely powerful and versatile fighter. Available in The Force Awakens Core Set, Poe Dameron and the T-70 X-wing give the Resistance a real fighting chance against the First Order. Of course, for every T-70 X-wing in The Force Awakens Core Set, there are two TIE/fo fighters. Will the X-wing’s strength and Poe Dameron’s skill be enough to overcome the combined firepower of these incoming TIE/fo fighters? Only time will tell. 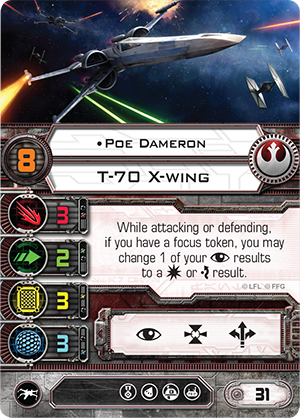 In the meantime, head to our community forums to share your thoughts on Poe Dameron and the T-70 X-wing. 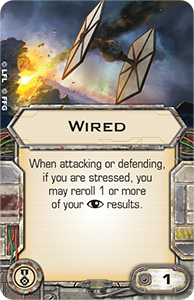 Then stay tuned for more articles about The Force Awakens Core Set, including a closer look at the First Order’s TIE/fo fighter!